Slow-cooked flavour in a fast-paced world - pressure cookers are one of the greenest cooking methods imaginable. Sales are on the increase and even Jamie Oliver has launched one of his own. They allow us to cook quickly, cheaply and efficiently because the food is cooked in liquid at temperatures far higher than in a conventional pan, which shortens cooking time by up to 70 per cent. Because the method seals in flavour, cheaper ingredients can be used to great effect and since the cooking time is far shorter you save time and gas or electricity. 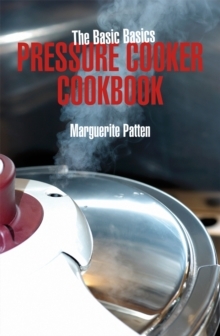 The pressure cooker presents a distinct advantage for certain foods and for ingredients that need long cooking, it is a real winner. The most dramatic time and energy savings come with meat and poultry. Braised beef can be perfectly cooked in 30 minutes, osso bucco in 25 minutes and a chicken tagine in 15 minutes.